With over 300 million houses in India, over 300 days of sunshine a year, an ambitious target of 40 gigawatts of rooftop solar by 2022 and various states formulating rooftop solar policies, there should have been a solar revolution in Indian homes. According to Bridge To India report, titled ‘India Solar Rooftop Map’, India’s rooftop solar energy capacity has surpassed 1 gigawatt (GW) mark this year. The growth is expected to continue in the years to come and the market is expected to reach a total capacity of 12.7 GW by 2021 in India, says report. 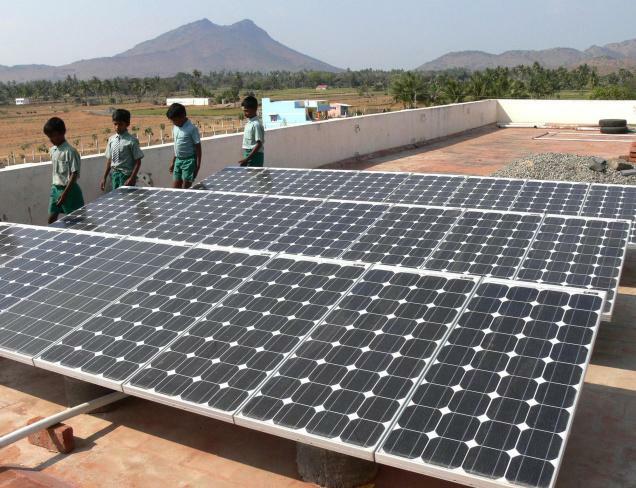 India has added rooftop solar 513 MW generation capacity added over the past 12 months, achieves a growth of 113 per cent. Under OPEX (operational expenditure) model, a third party developer finances and installs the system on rooftop owner/consumer’s premises and sell all power output to him, says Bridge To India. The OPEX model has been very successful internationally and remains so in India as consumers do not want to incur upfront capital costs but still want to benefit from falling costs of solar power. Most commercial and industrial consumers can reduce their power bills by 20-30 per cent with rooftop solar power. Mr Rustagi further said, "We expect rooftop solar to outpace growth in the utility solar market in the coming years. The government has announced attractive policies such as net metering, subsidies for select customers and cheaper debt financing for the sector although there is huge scope for improvement on every front," reports Business-Standard.